When you book a private jet flight to Cleveland with Charter Flight Group, you are in for a pleasant surprise. CFG Group has over 30 years experience providing private jet charter flights to destinations both domestic and international and that experience has taught us a thing or two. To elaborate… Charter Flight Group prides itself on our professional flight crews and maintenance personnel because these are the folks who have been ensuring that your private charter jet is maintained in optimal and pristine condition. The secrets lay in certain elements built-in to our corporate strategy. By making sure that each private charter jet is kept so well, CFG has enjoyed a worry-free existence among private charter companies. In fact, once private charter clients try our service, they always return for every flight thereafter. We believe that every private charter jet on our fleet should exceed all expectations as to flight safety, comfort, and reliability. That is why ARG/US and Wyvern are invited in so often and why the FAA likes us very much. That is also why our clients are always happy to refer our flights to others. In addition, we ensure the comfort of our charter clients by hiring only the most professional flight crews with impeccable records. Finally, every jet in our fleet is maintained according to the same high standards whether these are small craft such as our Leer jets or Cessna’s, to our larger crafts like our Gulfstream, Challengers, Boeings, and Airbuses. All are maintained to the perfect standards we believe our private air clients would if these aircraft belonged to them. When you plan your private jet flight into Cleveland, you will have a vast choice of jets from which to choose and you will have a choice of which airport your jet will enter. This is because Cleveland is one of the largest commercial cities in America and as such, air traffic is enormous. The choice of which airport to have your private charter flight land can be confusing, so here are some things to consider. Cleveland-Hopkins International can accept any kind of private jet charter that CFG offers so if you need a large charter jet, this will be the most likely choice. However, there are numerous other fields into which your private charter jet can land if it is small or medium. For instance, some prefer Cuyahoga County Airport because of its proximity to I-90 and I-271 on the north-east side of Cleveland. Others prefer Burke Lakefront because it is even further out of Cleveland in the same direction, but offers more amenities to executive and exclusive private charter clients. Regardless, when you speak with your private charter consultant, be sure to discuss the options and don’t forget to ask about one-ways and empty legs. In addition, we also provide on-demand private charter flights when needed. Go Indians! That is an expression you are likely to hear if you touch down during baseball season because there are only three kinds of people in Cleveland…those who like the Indians, those who like the Browns, and those who like both. Clevelanders have pretty much run all others out. But besides these major sports teams, there is much to do in Cleveland. There is the Cleveland Orchestra, the Cleveland Zoo, and the Cleveland Museum of Art. It is very clear to any traveler that this is a city with considerable pride. 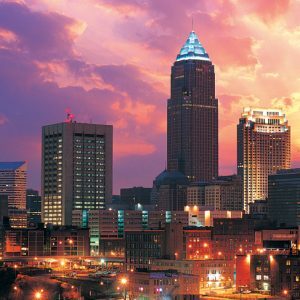 And that pride is not without cause, Cleveland does indeed hold much to offer for both business travelers and those taking their private flight to the city for vacation. For many years, Cleveland ranked among the highest in the nation in manufacturing. After the decline in this sector, the city planners made a concerted effort to diversify with a growing base in finance, health-related industries, and advanced research. Among the giants in this regard are Primus Capital, the Cleveland Clinic, and Case Western Reserve University. We know that when you have chosen us for your jet flight to Cleveland that our work has only begun. 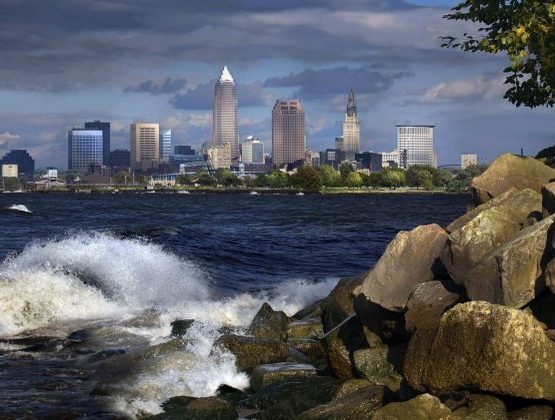 We are going to prove to you that you have chose the best by ensuring that every demand is met, you are relaxed, and well-rested for your business in Cleveland. We will see to it that once you depart, you are going to begin planning your next private jet flight with Charter Flight Group.